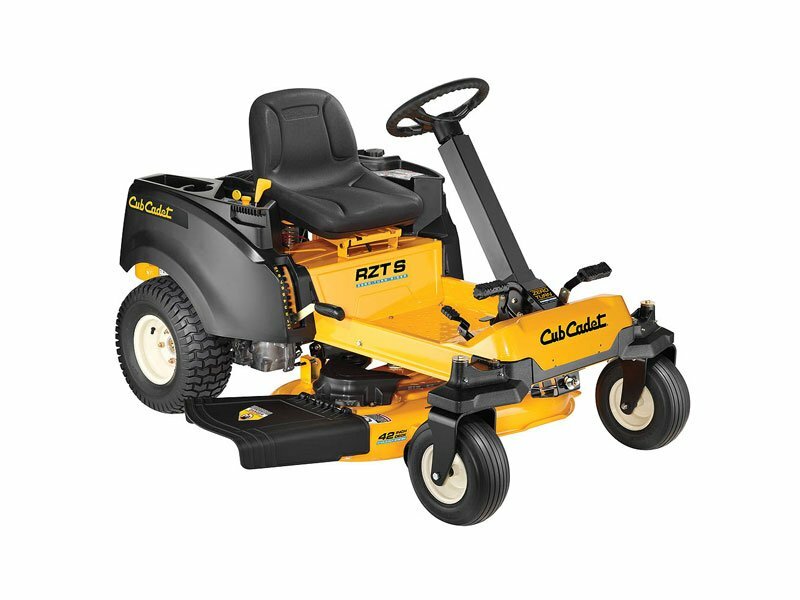 The Cub Cadet Tractors in the RZT S series is designated to residential use and consists of four different models. The first one is the RZT S 42, having a 2-blade stamped mower deck and being powered by a twenty two horse power Koehler motor in the 7000 series, a professional grade V twin, bearing iron-cast sleeves for the cylinders. The second one in the series is the RZT S 46, which is pretty similar to the S42 one, but having different engine horse power and a 46 inches deck. The third model is called RZT S 50, with a 3 blade stamped deck being the only difference from the latter. The fourth model is the RZT S 54, with a Kawasaki engine in the FR series, also a V twin. The transmission for all four models is the same Hydro-Gear EZT 2200 dual system. Side by side twin pedal arrangements provide the forward and reverse actions, while the old lap bars on the Z tracks models have been replaced with steering wheels. The big advantage of the Cub Cadet RZT machines is that the steering is provided for all four wheels, unlike other models which allowed the control of only the front wheels. 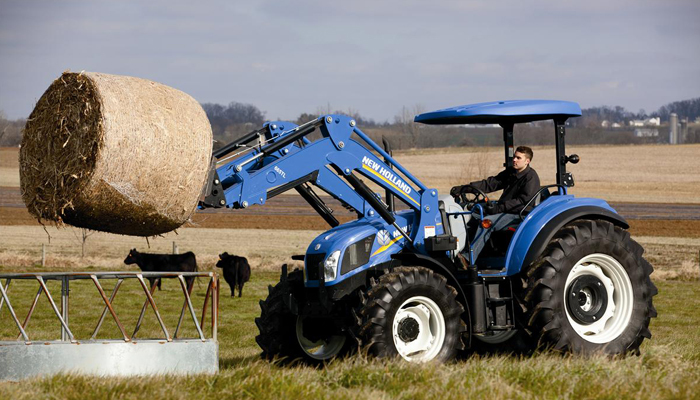 RZT S machines provide a satisfying level of comfort for the operator, allowing the seat and the steering column to be adjusted in different positions. They all have a standard speed for cruise control which is set by use of a dual function pedal, near the brake pedal located on the left of the floor. The instrument pod is located next to the seat, at the right. 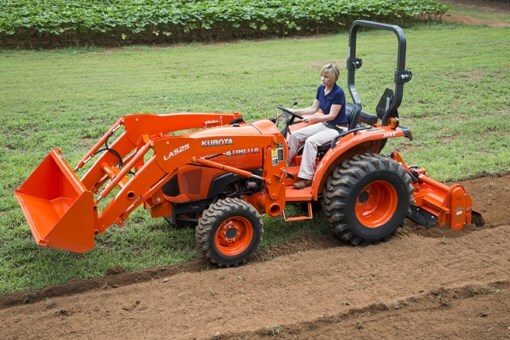 The knob for power take-off, key start switch, the hour meter, the button for reverse mowing technology are all there. With regards to the reverse mowing, this is an option made available after some prohibitions set up by AMSI and in order for it to be used the triangular button needs to be depressed. It requires manual operating in order to cancel this operation. It is easy for an operator to select the cut height, having an eight deck adjustments lever just underneath the pod allowing the selection range between about 4 up to 10 centimeters. The RZT S models are very easy to operate, the only things needed to be done by an operator being setting of the speed by using either the rear or the front pedal and just steer it as any other machine. While other models were difficult to handle during turns, the RZT S models allow the operator to turn them without too much effort and also with less to no damage for the turfs. These models can run forward up to 11 kilometers per hour and up to 5 in reverse. However, operating the RZT S models in reverse requires some effort from the feet, in a sense that the foot must be lifted entirely in order to use the pedal. Even so, one can turn to a local fabricator in order to have this reconfigured. Despite allowing the connection of a hose for cleaning after mowing, it is still to be avoided to put metallic components in contact with water.